We here at CMVA know how tough it is getting your Business or Brand up and going. Keeping an eye on your Cost no matter how small or large your Company is can be Daunting and Stressful. We try to keep this in mind. We have Websites for all Budgets. 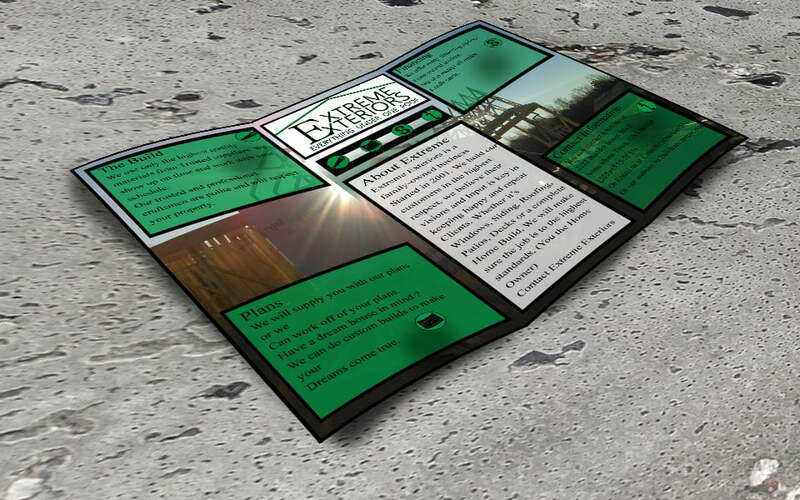 From the very basic one page Website to the large multi-page sites. We hope you will find a starting point that meets your needs. 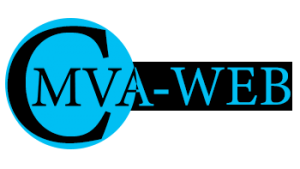 We can find you a price plan that can be modified to reach your goals to get you NOTICED with CMVA-WEB. This is an example of a Beverage type Website. We can customize this site to your exact needs. Tell us what you want, and we will make it happen. Comes with a great Blog area so you can talk about your Product and keep your customers Informed. 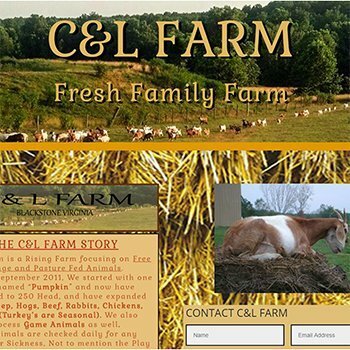 C&L Farm is located in Blackstone, Va. Please make an appointment to see their Farm. Fresh Family Farm. 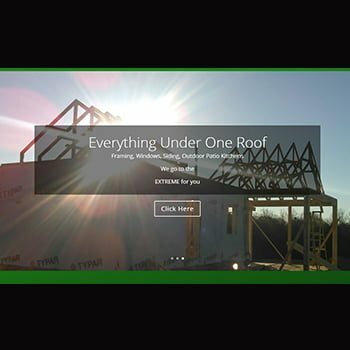 We can create a custom website for your Farm or Ranch. Ian The Painter was originally created in Adobe Muse. Muse is being discontinued, So I used Webflow as the platform to create this site. The images of Ian Wilkinsons Art and Murals really gives the site its own character and visual appeal. 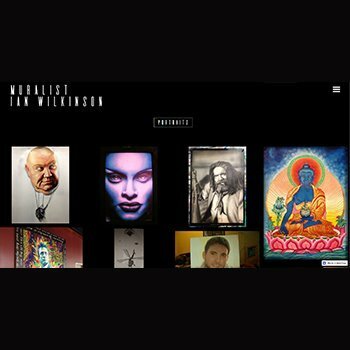 Ian Wilkinson is a Muralist-Artist in Asheville, NC. We can create one of a kind Portfolio Sites for any Artist or Entertainer. 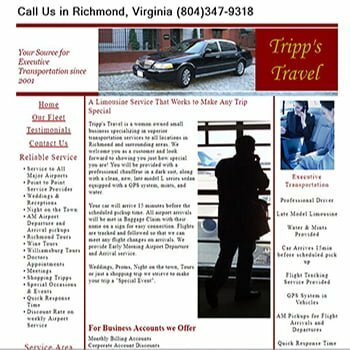 Tripps Travel Limo was created with Adobe Muse. Pamm Tripp had an old Website that she liked the style of, but needed it to be modern and mobile friendly. 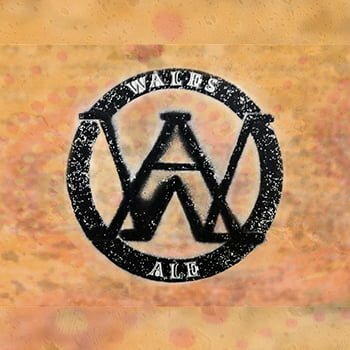 I recreated the site from top to bottom and made it responsive. Tripps Travel is located in Richmond, Va. and is a Woman Owned Small Business. One Page Website starting at $350. 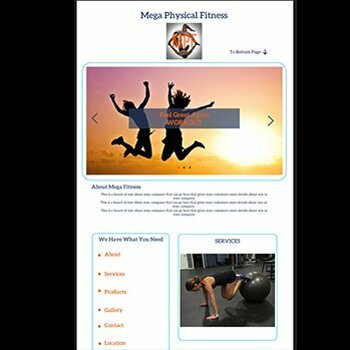 This is an example of a Fitness website, But it could be modified for any business or personal needs, Budget friendly, and a good place to start. (SEO included. 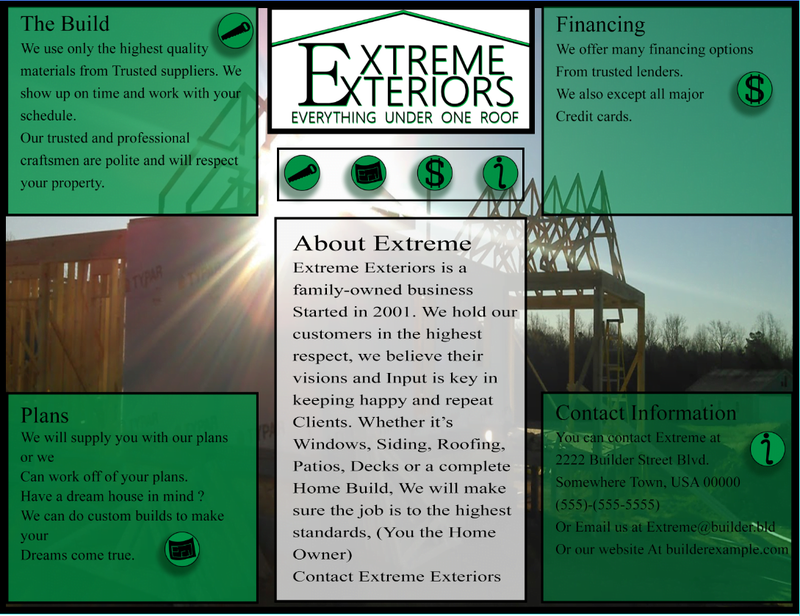 This is an example of a temporary website. 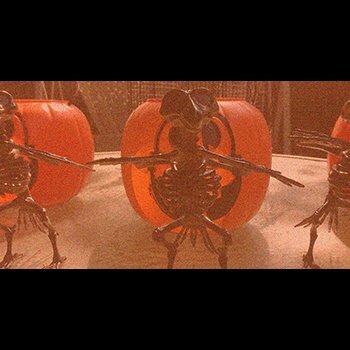 This one was used for a Haloween Paint and Wine Party, But can be customized for any event. Weddings, Concerts, or Show. Pay by the day for Hosting-plus cost of Build. If you are looking for a Short-term Website, Maybe for a Special Event, Notification, Celebration, Like a Wedding, Birthday, Anniversary, or a Fundraiser for a Non-Profit Organization. One Week, Three Weeks, a Month? We can do that. Let’s Talk. CMVA-WEB Can Remove Malware from your WordPress Websites. If you notice Redirects to other websites than your own, or Viagra or Adult websites in place of your website. Then you have Malware somewhere in your site and files. 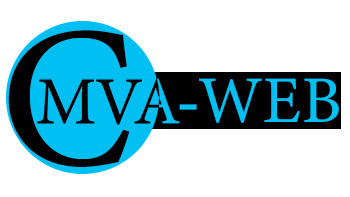 Let CMVA-WEB clean your website and get things working again. Contact us at (800) (695-0132) or Email us at cmvaweb@gmail.com.